After a tumultuous few days in the world, never has the idea of loving kindness been more important. What is loving kindness? The Dalai Lama defines love as the absence of judgement. It’s the full and complete acceptance its recipient. If we say that kindness is compassion enacted, we start to gain a fuller understanding. Loving kindness is an active position. It requires an engaged effort on our part. So far, I’ve kept myself out of this blog. The intention has been to examine how and why we think and behave in the ways we do from different perspectives, hoping that this will allow you, the reader, some insight into your own processes. But since adopting the attitude of loving kindness must begin with the self, I feel it important to share a very personal experience. There are some people whom it is easy to love. Most of those who have had a child will be able to attest to the veritable Niagara of positive emotions it is possible to experience towards another being. My son, Lev, was born last October. 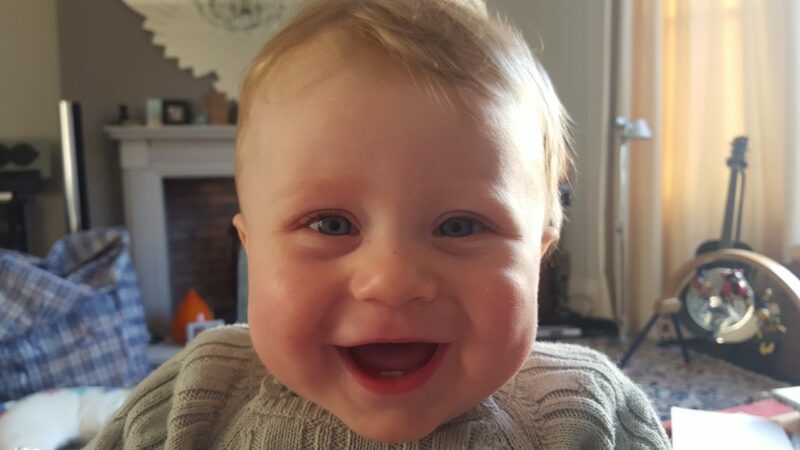 He arrived at 37 weeks after a few minor complications in the late pregnancy, and while he was basically healthy, his infection markers were high and he was jaundiced. A tiny little thing weighing a shade over 6lbs, some of his first experiences in the outside world included having a cannula inserted into his arm to receive regular IV antibiotics, and a lumbar puncture – a giant needle inserted into the small of his back in order to take a sample of his spinal fluid. The latter is a process they won’t let parents be in the room for, because it’s too traumatic. 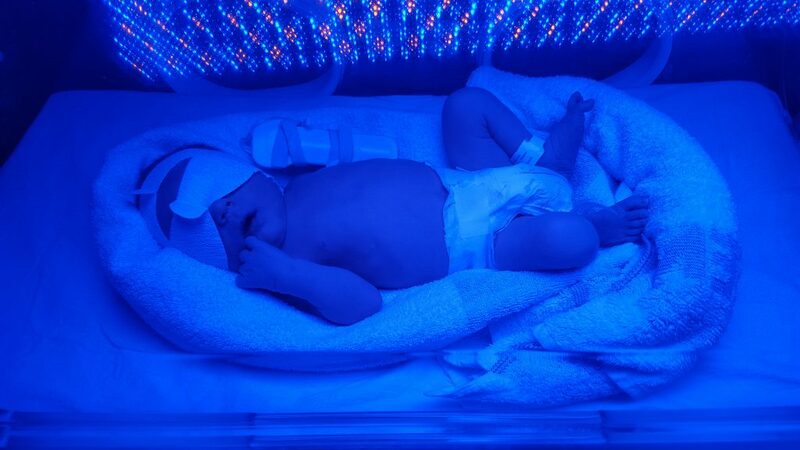 To treat the jaundice they put Lev in an incubator under UV lights – the process of photo-oxidation helps lower the levels of blood in the bile to healthy levels. In many parts of the world this can be done simply by putting the baby outside, but London in October is not one of those places. Watching him in the incubator, so tiny and helpless, with a mask on his face to protect his eyes from the light, the cannula splint he had on bigger than his arm, was an intensely moving experience. In the photo you can see towels positioned around him – while as adults we imagine being in the womb to be an intensely claustrophobic experience, in fact the opposite is true. Being born is intensely agoraphobic, because being enclosed is all a baby has known up to that point. This is why newborn babies like to be held at every possible moment. The towels in the incubator were there to help him feel more enclosed, but every so often his little arms and legs would push out in alarm, looking for a resistance that wasn’t there. Standing there in the knowledge that I would do absolutely anything for this little guy, that my love for him was beyond words, knowing that his happiness and wellbeing were now foremost in my priorities, I experienced something very profound. I don’t think Lev looks all that much like me now (luckily for him, some might argue[i]), but when I was watching him in the incubator, exhausted and emotional, somehow all I could see in his face was my own. Suddenly, it was like everything I felt towards him I also felt towards myself. It was wonderful. I wasn’t used to feeling that way – certainly not with that intensity. My experience tells me that few of us are. Self-love is dismissed as vanity or arrogance. Instead, we tend to be our own biggest critics. We lavish our praise on others, and keep the vitriol for ourselves. We tend to dismiss our achievements and dwell on our failures. We look in the mirror and our entire reflection is consumed by a single blemish. If we spoke to the others the way we do to ourselves, our friends would be few and far between. I’m not saying that none of this happens to me anymore. It will be quite the blog when I write about uncovering my Buddha state, and I’m afraid this isn’t it. But it happens less. While I have accepted a great deal more responsibility, life feels lighter. Accepting our own inner critic and the role he/she plays in shaping us is important. But equally if not more important is allowing room for a more nurturing, understanding voice that is kind and compassionate. Studies[ii] have shown that meditations on loving kindness can have a hugely beneficial impact on many areas of mental health. Even two weeks of practice can have a comparable effect on the brain to years of regular meditation. Ultimately, the psychic wounds we inflict on others are merely reflections of those we have suffered ourselves. Love yourself. Be kind to yourself. Forgive and accept yourself. The more you are able to do this with yourself, the more you will be able to do it with those around you. Compassion is not a limited resource. It’s a habitual response. If you can’t train that response on the person you’re with all the time, how can you hope to do so with others? Unlike the proverbial lifeboat, where its women and children first, in this case you’re quite entitled to push your way to front of the queue. Indeed, it’s positively encouraged. [i] This joke, of course, goes against the entire spirit of this piece. Clearly he would be most fortunate to look like me, for I’m not without my charms….